DATES: Friday 31 August through to Monday 3 September. 9am to 7pm – weather permitting. Feel free to visit on any of these days! THEME: This year’s festival theme is “Scarecrows beginning with N” – all the scarecrows will be built with this theme in mind. 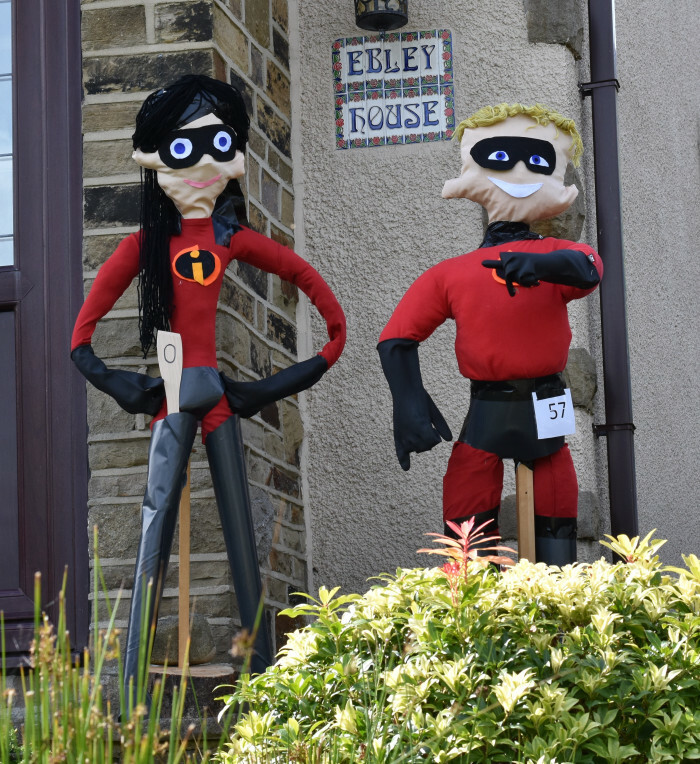 We look forward to the usual range of ingenious, witty and beautifully made scarecrows appearing all round our village. Parking: If you are visiting the Festival, please use the main car park, next to the Scarecrow Tent, on the playing fields in the centre of Norland, (see map, right or use postcode HX6 3RL). Parking is free if you purchase one of our Trail Guides for £2. All proceeds go to good causes. More info on how to get to the festival. Respect residents’ parking by not parking on the village roads. Viewing the Scarecrows: this is best done on foot or bicycle, using the Trail Sheet to find your way around. Please don’t attempt to visit all the scarecrows by vehicle – the local roads are very narrow. However, there is a section of the trail, as shown on the Trail Sheet, which can be done by car.